Blue Whales Rebound on Pacific West Coast – Neptune 911! Blue whale near San Diego, CA. California’s blue whale population has recovered to near historic levels, according to a new Marine Mammal Science study. This is the only population of blue whales in the world known to have recovered from whaling, which almost drove the species to extinction. Blue whales are the largest animals on earth, measuring nearly 100 feet in length and weighing 190 tons as adults. “The recovery of California blue whales from whaling demonstrates the ability of blue whale populations to rebuild under careful management and conservation measures,” lead author Cole Monnahan of the University of Washington, said in a press release. Monnahan and his team believe there are about 2,200 California blue whales in existence. That number seems low, but it actually represents about 97 percent of the historical level, according to the researchers. The term “California” is somewhat of a misnomer, considering the range of these behemoths. They are at their most visible while at feeding grounds 20 to 30 miles off the California coast, but they are actually found along the eastern side of the Pacific Ocean from the equator up into the Gulf of Alaska. 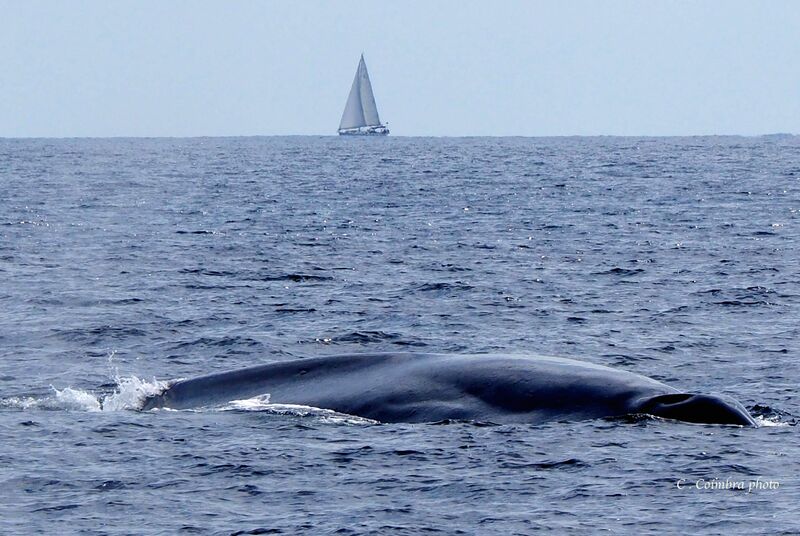 The researchers used multiple methods to estimate the California blue whale population, including acoustic data. This helped them to tease the California blue whales apart from those belonging to another population in waters off of Japan and Russia. The whales appear to be different from each other, extending to their calls. The one piece of bad news here is that the researchers think the number of California blue whales struck by ships is likely above allowable limits. There are likely at least 11 blue whales struck a year along the U.S. West Coast, which is above the “potential biological removal” of 3.1 whales per year allowed by the U.S. Marine Mammal Protection Act. But the new findings predict that there could be an 11-fold increase in vessels before there is a 50 percent chance that the California blue whale population will drop below what is considered “depleted” by regulators. “Even accepting our results that the current level of ship strikes is not going to cause overall population declines, there is still going to be ongoing concern that we don’t want these whales killed by ships,” said co-author Trevor Branch. Monnahan added, “Our findings aren’t meant to deprive California blue whales of protections that they need going forward.